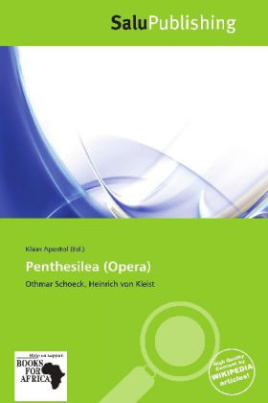 Penthesilea is a one-act opera by Othmar Schoeck, to a German-language libretto by the composer, after the work of the same name by Heinrich von Kleist. It was first performed at the Staatsoper in Dresden, Germany on 8 January 1927. Schoeck used the contrast between C major and F major as a musical basis for his work. Robin Holloway has noted the similarity of theme to Richard Strauss' Elektra, as well as Schoeck's use of two pianos in the instrumentation.